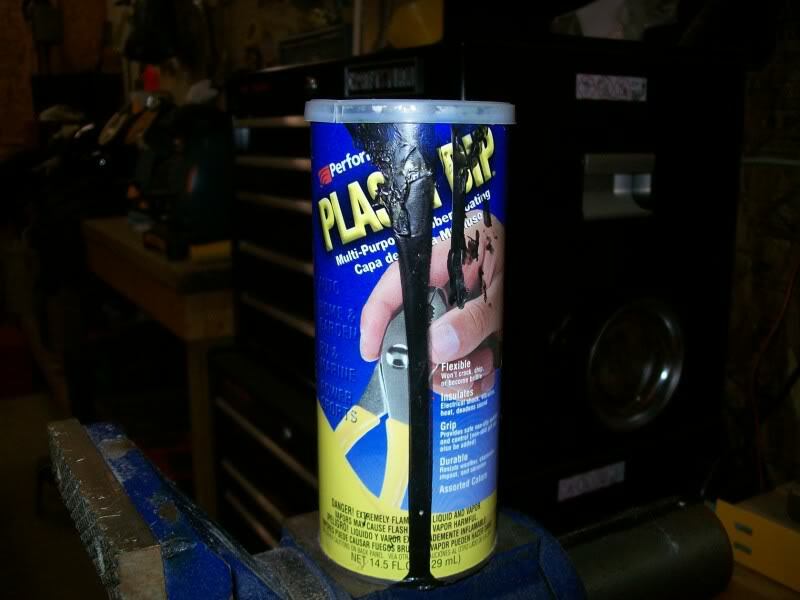 Go to Lowes and pick up a few things..
slip ferrule over one end about 3 inches down then fold the short end back and insert into the same ferrule. Check it and make sure it slides thru your D rings on your helmet and then crimp it in place use a vice. 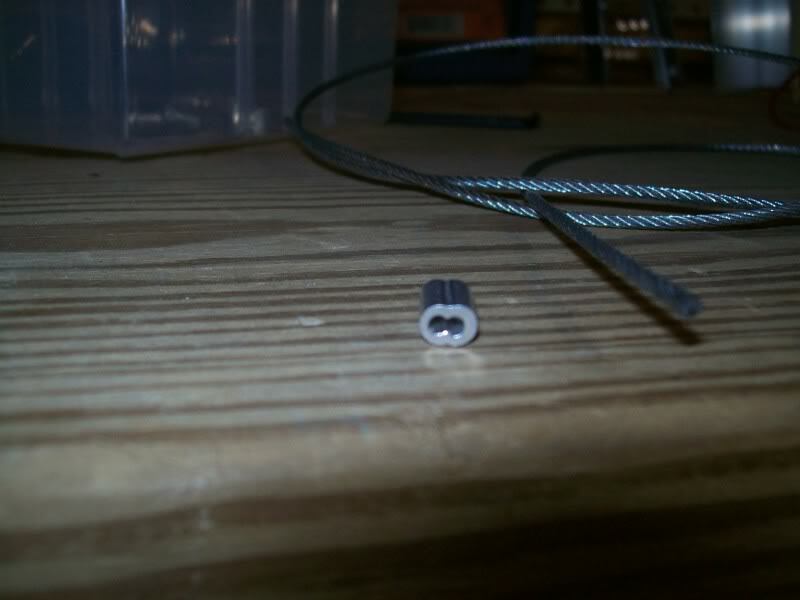 Install a ferrule on the other end, fold the cable thru the solid ring and back into the ferrule, pull it tight and crimp in the vice. I made 2 sizes. The short one is for just a helmet. 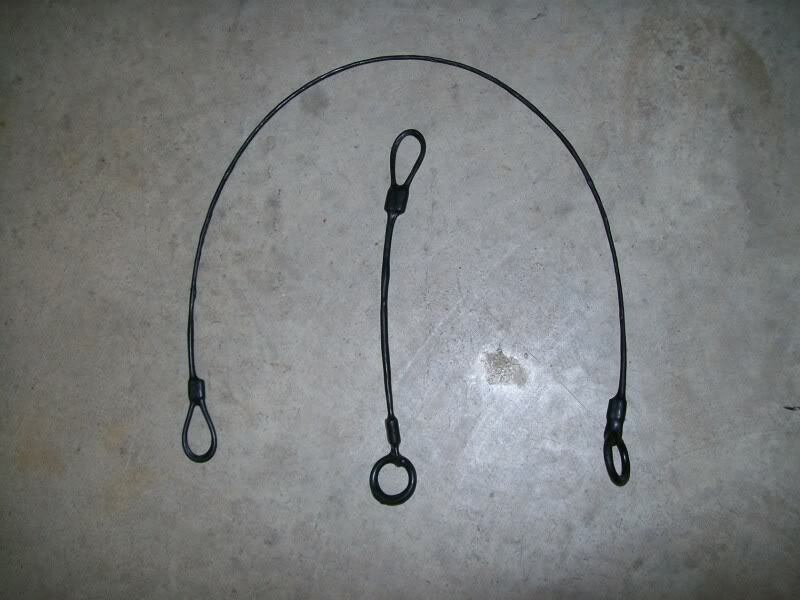 The long one I use to secure the helmet and run thru the sleeve of my jacket and onto the lock. The Idea is the looped end runs thru the D rings but the solid ring end wont so its secure. Hook the looped end over lock, install seat. When you get them done, Dip them or paint them with the Plastic dip so they cant scratch your paint or helmet. Very cool solution. What about the jacket? He mentioned it in the post - the longer one goes through the helmet loop, then through the sleeve of the jacket and into the bike. Cool, cheap solution! Thanks for sharing. I rather take mine with me if I am in a place where I have to worry about em. Kewl idea tho! I´m not trying to be a smart *** but you do know that if someone cuts the helmet strap he´s a goner right? 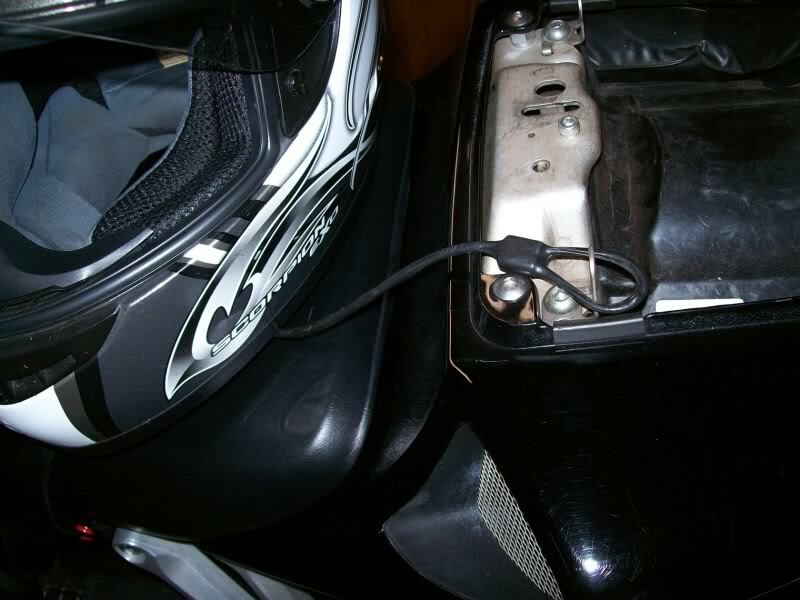 When I went on my first group motorcycle ride recently, when we arrived at our destination, many of the people were using cable locks to lock up their jacket (pre-made cable locks though). 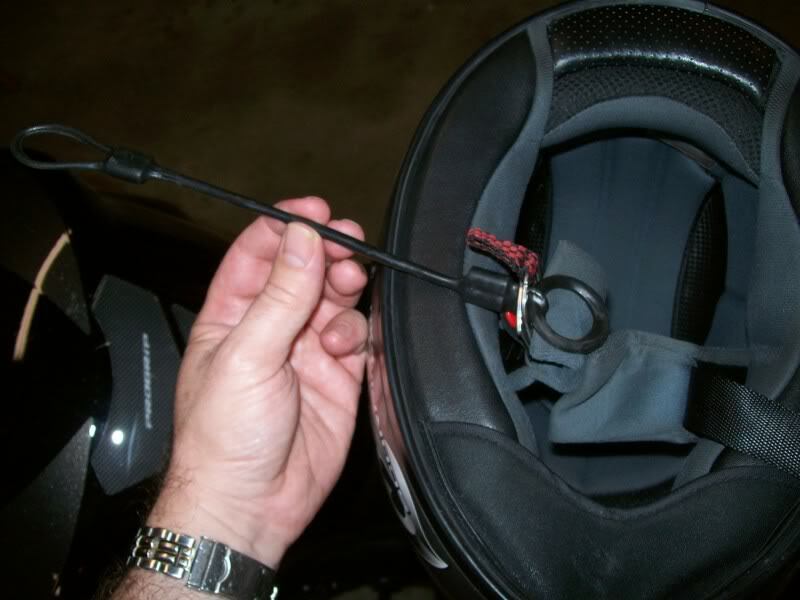 Many used the designated helmet hook under the seat to lock up their helmets. I see how this latches onto your seat, but how does all of this look after your helmet and jacket are locked to your bike? Care to take some pictures of how it all looks locked up? WTF is anyone gonna do with a helmet and no strap? So if I get this right, you have to unbolt your seat from the bike to lock your stuff up? That's pretty inconvenient. Why not just lock your stuff around the frame and call it a day?